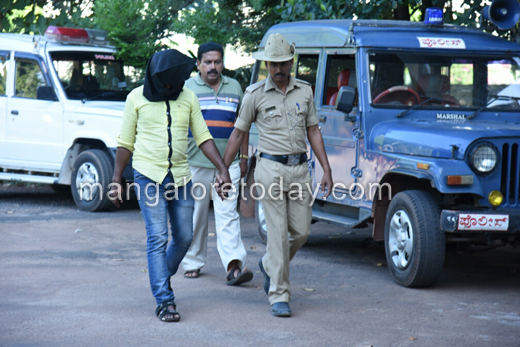 Mangaluru, Nov 30, 2015: The District police have arrested main accused in the case Harish Poojary murder case that took place on November 12 in Manihalla near BC Road. 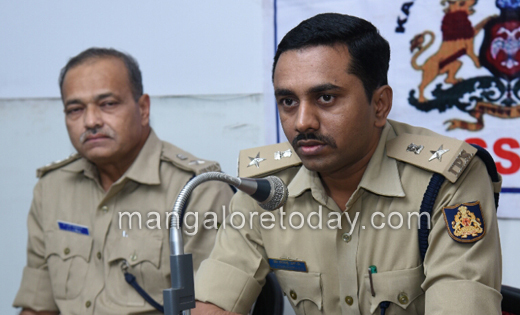 SP Dr. Sharanappa in a press meet here on Monday November 30 informed that the accused is Mithun (27) a rowdysheeter and he is accused in another murder case in Bantwal police station along with three attempt-to-murder cases and several other cases in Bantwal police station. Police have already arrested Bhuvith Shetty and Achyuta, both right wing activists, in connection with the case. The police had said that it was a case of mistaken identity, as the attackers had believed Harish to be from the minority community. In another case police have nabbed two accused wanted in a case of assault reported within the Sullia police station limits on April 14, 2014 in relatively quick succession. While one accused was nabbed at Kochi International Airport on October 5, the other accused fell into the police dragnet at Calicut International Airport on November 30. A police team has been sent to Calicut to take the accused for questioning him in connection with the case. The accused are Sharief PM (25) and Muneer B M (26) both residents of Ajjavara village in Sullia taluk.The duo nabbed were part of a 11-member gang that had assaulted the complainant Shafi, 32 and his acquaintance K M Nausheer when the duo were on their way to Aivarnadu on Nausheer’s motorcycle.